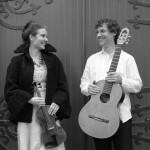 Since forming the Lyrical Strings Duo in 2009, Lucie and Stephen have performed in a wide variety of venues ranging from churches to rock clubs, from intimate living rooms to outdoor festival stages. 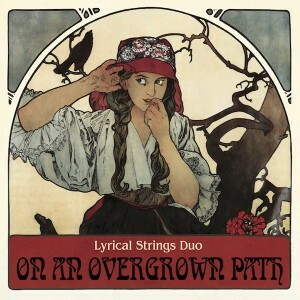 In 2015 they released their second CD, On An Overgrown Path. Featuring their original arrangements of classical music from the Czech, Polish, and Ukrainian traditions, the CD explores the intersection of folk traditions, romanticism, and storytelling in the instrumental music of 19th and early-20th century Central/Eastern Europe. The album has earned the praise of leading Czech Music scholar Professor Michael Beckerman, has been played on Classical Radio stations throughout the United States and Canada, and was selected as the “Delight of the Week” by the Music Director of a National Public Radio affiliate in Maryland. Lucie is a Czech violinist born in Prague. She has appeared in both the United States and Europe as a soloist and chamber musician. She has worked as an orchestral musician in central Europe, and toured as a member of the Gustav Mahler Jugendorchester directed by Claudio Abbado. Since settling in the United States, Lucie has performed solo recitals in the embassies of Poland and the Czech Republic among other notable concert venues in the DC metropolitan area. Now living in Portland, Lucia serves as Concertmaster of the Willamette Falls Symphony of Oregon City. She is also Assistant Concertmaster of the Salem Chamber Orchestra. She collaborates regularly with Willamette Master Chorus (Concertmaster), Oregon Repertory Singers, Bach Cantata Choir, Cascadia Composers and substitutes with Portland Opera and the Portland Chamber Orchestra..
She holds degrees in violin performance from the Prague Conservatory and Catholic University of America as well as a degree in violin pedagogy. Her principal teachers were Frantisek Pospisil, Howard Beebe and Robert Gerle. She also attended the National Symphony Orchestra Institute on full scholarship where she studied with Luis Haza. Lucie is a busy freelance violinist performing an eclectic schedule of concerts and events. She is equally at home playing a Shostakovich string quartet at Portland’s Holocene club, a live movie soundtrack with Filmusik at the Hollywood Theater or Verdi’s Requiem at the Arlene Schnitzer Concert Hall. An experienced session musician, she has recorded for such local Portland artists as Matt Sheehy, Ashia Grzesik, Naomi LaViolette and many others. She has been part of many festivals such as Siletz Bay Music Festival, Astoria Music Festival, Portland Summerfest, PDX Pop Now, Salem Art Fair and March Music Moderne, to name a few. She is active in community outreach including recent children’s concerts with string quartet at Community Music Center, Ethos and in small rural schools in such towns as Fall City and Monmouth, OR. As a chamber musician, Lucie performs with pianist Naomi LaViolette and cellist Erin Winemiller in the Fleur­de­lis Trio, and with guitarist Stephen Osserman in the Lyrical Strings Duo. Since Stephen’s days as a student he has loved collaborations with other artists. Through both his earlier work combining traditional guitar repertoire with dance, poetry, theater and more, and his more recent projects arranging music for the Lyrical Strings Duo, he has always aimed to bring classical guitar to new places and pull in new audiences in the process. In addition to performing regularly with Lyrical Strings Duo Stephen has been invited recently to appear with the Willamette Falls Symphony and Salem Chamber Orchestra, as well as regional string quartets, and other chamber groups. He holds a BA in Music from Yale College and a Master of Music in Guitar Performance from the Yale School of Music, where he studied with Benjamin Verdery, and had the opportunity to participate in master classes with guitarists such as David Russell. He previous teachers include Philip Rosheger and Juanita Oribello. 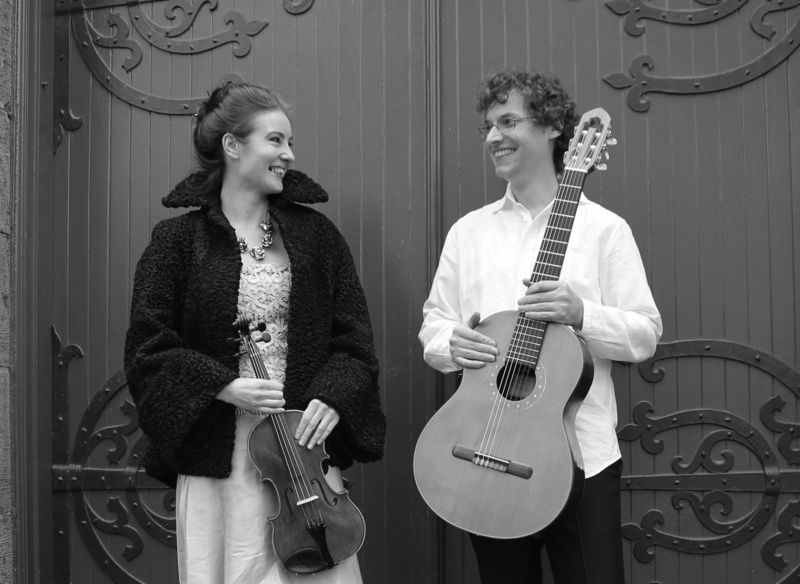 The Lyrical Strings Duo is a sensational pairing of two accomplished musicians. Lucie’s playing is expressive, inventive and virtuosic. Stephen’s provides sensitive and tasteful accompaniment. Together they are an absolute joy to listen to! Their music is brilliantly executed, and their interpretation and arrangements of these beautiful pieces transport me to another world. The duo’s virtuoso technique matched with emotive style, sizzling energy, and boundless imagination, makes for utterly convincing music making. This is not another violin-guitar duo, but a creative and adventurous ensemble with an innovative repertoire blending both contrasting and complementary sounds of violin and guitar beautifully. Bravo and Brava! To my mind the playing on [Evening Songs] is as good as it gets – articulate, well-phrased, passionate and soulful. We hear the dynamic and explosive contrasted with tender moments of lyricism. Truly a landmark recording for the violin and guitar duo combination. I cannot say enough about the inventive violin and guitar arrangements Lucie and Stephen have put together in their first CD. They are creating a new musical niche and filling it with great music. 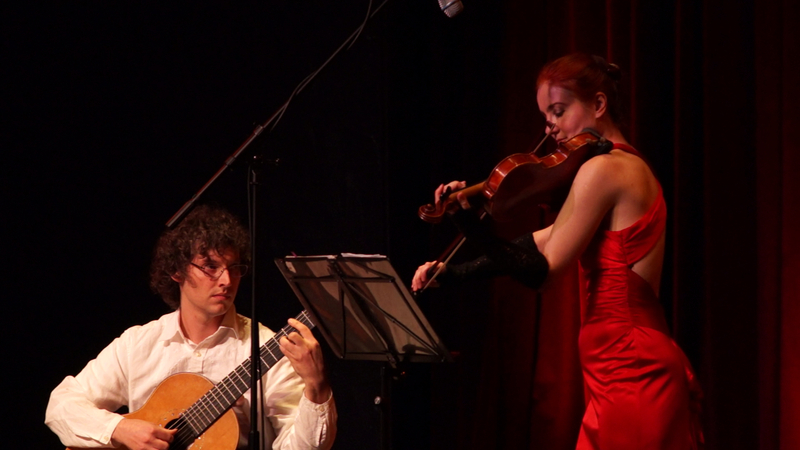 I know what you’re thinking – classical Violin and Guitar duo, ho hum. But not with well-crafted arrangements, an innovative selection of works performed by two really good musicians. The Duo is a unique and charming pair delivering a high quality musical experience. With a flawless sense of ensemble, Zálešáková and Osserman project the unique qualities of each piece they perform, be it joy or pathos, humor or mystery. Their music making is a joy to hear. Sometimes a duo is just meant to be. 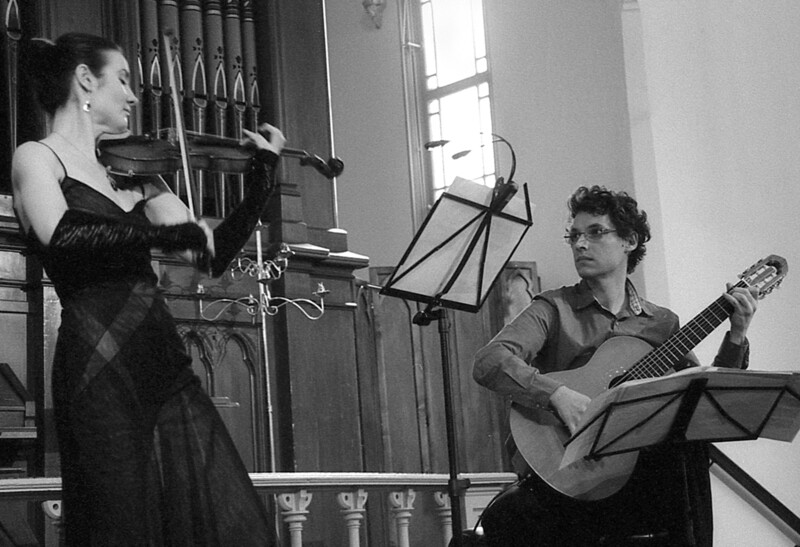 The day Stephen and Lucie first played together at a Classical Revolution concert, I knew it was something special. Ever since, they’ve been riveting our audiences with their nuanced arrangements and performances that are both subtle and full of flourish. 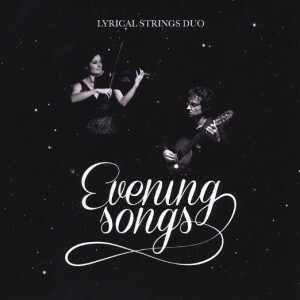 The Lyrical Strings Duo is a unique ensemble with elegance, a passionate sound, and extraordinary programs. The Lyrical Strings Duo delivered performances of wonderful virtuosity and quiet intensity that ebbed and flowed with grace. The imaginative, skillful arrangements showcase the Duo’s fresh and engaging interpretations that are chock-full of passion and beautiful artistry.